Back in 1999, the Massachusetts Institute of Technology (MIT) acknowledged that female professors suffered from pervasive, albeit unintentional, discrimination. Charles M. Vest, MIT President at the time, said in the Faculty Newsletter: “I have always believed that contemporary gender discrimination within universities is part reality and part perception. True, but I now understand that reality is by far the greater part of the balance.” The statement introduced an accompanying study unveiling the MIT pattern of discrimination — or, under a more current perspective, gender bias. Gender discrimination and gender bias are not the same. Gender bias is subtle and more deeply embedded in cultural norms — indeed, the pattern documented by the MIT study was subtle, while at the same time consistent and demoralizing. Since then, MIT has been recognized as a national model for addressing gender bias, a multifaceted issue that sometimes pops up with new actors all around the academic world. Most academic institutions have followed suit. Although some major issues have been or are being addressed, there are many more that still require considerable work, as for example the problematic access to top-level positions. However, gender bias is more pervasive than we think — it can’t be addressed by simply changing practices and procedures within the institution. It involves not only faculty and administrators, but also students. Students have an often unrecognized role in how gender bias plays out in colleges and universities, and sometimes this role resides in the realm of their perception. Vest’s words “contemporary gender discrimination within universities is part reality and part perception” still ring true. Let’s explore a case in point with these new actors — the students. In the academic world, it has often been thought that the student evaluations of their instructors are unintentionally influenced by the instructors’ gender. The bias is thought to be against female instructors. So, there is a lingering question: is gender bias in student evaluations reality or perception? Unfortunately, it is looking more like it is a reality. Results from a new study (What’s in a name: Exposing gender bias in student rating of teaching) show that college students rating of their instructors’ teaching ability is biased — as expected, the bias is against female instructors. For the study, Lillian MacNell, along with her collaborators Adam Driscoll and Andrea Hunt, devised a strategy for blinding students to the actual gender of their instructors — they used an online teaching environment. Instructors of a course at North Carolina State University taught using two different gender identities. Because of the online format, the students never saw or heard the instructors. At the end of the course, students were asked to rate their instructors on 12 different traits, covering characteristics related to their effectiveness and interpersonal skills. Students rated the instructors they believed to be male significantly higher than the instructors they believed to be female, regardless of their actual gender. Student instructor ratings are used to guide decisions related to hiring, promotions, and tenure. On a five-point scale, a decrease from 4.35 to 3.55 is significant. If these types of results are confirmed by future studies, it might mean that student ratings are inherently biased against women. The possibility that such a bias influences women’s advancement in academic institution requires careful consideration. This entry was posted in Uncategorized and tagged gender bias, glass ceiling, professor evaluations, university practices on December 11, 2014 by Integrated Environmental Assessment and Management. As a student and employee at a state university I can agree that gender bias is prevalent in academia. In many cultures throughout the world, both primitive and new world, women have been designated as societal caregivers. This is a stereotype that has been deeply embedded in most civilizations. The real problem is that gender bias is not easy to identify, but yet it is always existent! Human nature is complicated and delicate making it hard to determine the true intent of one’s choices, however statistics show that gender bias is prevalent. For example, an experiment conducted by a group at the University of Pennsylvania examined the effects of bias against women, as well as minorities, when expressing interest in doctoral programs. Interestingly, they discovered that faculty were more likely to respond to e-mails that were sent by students with names identified as those typical of white males compared to names identified with women or minorities. For all intents and purposes, the e-mails were fictitious and the content was identical, the only difference was the name of the sender. This goes to show that gender bias in academia is a universal problem, affecting faculty and students, but just like any experimental design there are many limitations that could discredit the findings as concrete data. It is sometimes hard to convince people that something exist without irrefutable data. I’ve personally listened in on conversations and have heard people say the only kind of woman that belongs in science is the kind without children. I believe that bearing children is intimidating, to both men and women, and somehow the capability of such event makes a woman more of a liability than a man. Just like any other form of discrimination the only way to combat the problem is to bring awareness and education to the issue at hand. Yes, it will cause civil dispute and become a civil rights issue, but the first step to solving a problem is identifying the problem. I 100% can relate to this article and I actually have experienced and witnessed this bias myself. I have had the privilege of teaching at the college level for the past 4 years. For most of the time I taught my own laboratory class as a TA, working under both male and female lecture (PhD) professors. The general feedback from my students, regarding their lecture professors, has mainly been respectful for the males and about 99% of the time their feedback for female lecture professors has been starkly different. Female professors are given the “bad rap” of being too pushy, just wanting to hear themselves speak, moody, and showing “favoritism”. It always seems that there is somewhat of a “fear” when it comes to male teachers – as if it is more important to please males rather than females. This could be attached to student’s own interpretations of their relationships with both their mother and father. With that being said, there is a possible correlation with socioeconomic status (SES) and how many parents (1 or 2; heterosexual or homosexual parental couples) were present during the “at home” period in which the students were raised, where personal standards of practice regarding gender-treatment are set into personal and moral foundations. Does this gender-based treatment stem from the environment in which they were raised? Does media exposure of varying types ingrain ideas of how we as a society are to act in social situations? Based on SES, what type of media did these students have access to and is there a difference on gender treatment in those coming from a higher or lower SES-themed home? Fascinating subject. The findings are not surprising, just looking around in classrooms with a good observational attitude will make you see that what these scientists found is very similar to the impression we get about the student/teacher relationships. This is a reflection, in the classroom, of what happens routinely in our daily life. The point is, careful research gives more credibility to our own observations. But what can be done to change these perceptions? Should be looking to see if gender influences the professors’ perception of the students. This is a very important subject, and should be evaluated under all different points of view. Before reading this article, I was not aware of gender bias that exist among students in teacher evaluations. It is important for people to be aware of this potential issue because of the impact it may have on the advancement of women. It is crazy to think that people naturally have a different opinion about a person based on gender. Ultimately, it is crucial that changes are made to reduce gender bias. The question is how is that going to be done. It is not easy to change the natural tendencies of people but it is something that must be figured out in order to create a level playing field for women. It is unfortunate to think about the fact that one day I may not get a job or may not advance in my position because I am a woman. After reading this article I can see how student biases can be a growing problem. However, usually teacher evaluations are confidential and the only evaluations that I see are my own. To get an opinion about a teacher I might visit http://www.RateMyProfessor.com. What I’ve found to be consistent is that a student will evaluate a professor based on how well the student performed in the class and not so much based on the gender of the professor. I have a 4.0 GPA, and most of my evaluations in the last 4 years have been positive, due to me becoming comfortable with the teaching techniques of each professor. Students that perform well will say how great of a professor they were and the hard work it took to succeed. However, students that do not perform well in the class will warn not to take this teacher and might mention that they aren’t fair or they require too much work. Fortunately, I’m sure that Dr. Attanasio has completed more research on this student bias topic than I have. I am only speaking from my personal experience, as a senior biology student. In addition to that, based on my own personal experiences, if I was able to choose between a male and female professor, both of them possessing the same qualities, I would choose a female professor over a male professor any day. I have seen gender bias towards instructors throughout high school and my undergraduate university. Oftentimes the bias is very subtle and people are not even aware of their own biases. For example, I have noticed in many occurrences that when a female professor is very strict, she often gets more ridicule for being too “uptight” while a male professor with the same teaching style will obtain a response like “well he is strict but he needs to be that way to keep his class in check.” This does not happen in every single occurrence but it has happened often enough for me to recognize that there is something wrong here. Even I am guilty of judging a professor based on their gender and not by their method of teaching. Female professors are also judged by their moods and how they behave to students. A colleague of mine once was annoyed because his female professor had to end her office hours early because she needed to drop off her children to a nearby tutoring center. There were countless menstrual cycle jokes nabbed at my high school teachers back in the day when a female teacher seemed to be not herself a certain day. Female professors are often sexualized in the classroom due to their choice of dress in the classroom while on the other hand male professors are not. Gender is an institution that continuously seems to oppress not just females, but also people that are out of the gender binary. I also believe males too are now succumbing to gender bias. In order for us to thwart this issue, I believe everyone should be aware of subtle biases that are made under the conscious level. It is interesting that you bring up choice of dress because I caught myself judging a female instructor today on her outfit instead of paying attention to her lecture. However, I cannot even remember what my male instructor had on. During my time at GSU I have seen that students tend to be more outwardly disrespectful in classes that are taught by a woman. I have no doubt that this disrespect probably translates to a poor evaluation for the instructor. Students seem to feel that they are more entitled and willing to bargain with female instructors on certain rules pertaining to attendance, and late assignments etc. and if the instructor sticks to her rules she is seen in a negative light. The male instructors that I’ve had do not seem to deal with this nearly as much and as a student I do not hear the grumbles coming from my classmates when male instructors stick to the rules that they laid out. This idea that if two professors teach in very similar ways but their actions are perceived in very different ways based on gender is upsetting. When filling out evaluations I try my hardest to be objective and fair, regardless of gender even though a part of me want to give every female a perfect evaluation. As I was reading this post, I originally thought I was exempt from a biased opinion in regards to gender discrimination until I remembered I had two online classes last semester. One was taught by a man and the other was taught by a woman. I remember rating the male professor and the the female professor the same. The female was a more difficult grader and the male was easier when it came to grading assignments and returning them in a timely manner. Both were excellent instructors but I feel as though the quality of work was higher coming from the female. The question I have is, does the quality of work differ between male and female professors, as result, earning them different ratings from their students? I believe the quality of work expected from a female instructor is set at a higher standard than for a male instructor. I say this because instructors are the future professors and there are more male professors than female professors. So women are at a disadvantage according to the “Male Advantage theory” therefore requiring women to perform at a higher level for the same position. Both women and men should be exposed to articles of this nature more frequently than they seemingly are. It is horrifying to think, especially in the year 2016, that women are still receiving lower ratings on the job due to their gender. This should open the eyes of many to the fact that even though women are advancing in the worlds of academia and the workforce, there is still much progress to be made. Therefore, if more individulas are made aware of the potential for culturally constructed biases against women, this problem may have the potential to one day be resolved. It is interesting to learn that female instructors may receive lower ratings in comparison to male instructors not because of differences in teaching styles, but because of failure to meet gender expectations. My experience at GSU has allowed for me to come in contact with many female instructors and professors. Furthermore, I have always generally felt as though my female instructors would be competent and knowledgeable. It rarely crosses my mind the amount of hurdles and obstacles many female leaders in academia have to face, but today is the day when all that changes. After reading this article, I am more aware of the challenges many women face in academia. I will do my best to integrate this information into my day to day practices. First step to solving a problem is being aware that there is a problem. Now that I am aware of some the biases women face in the real world I can do a better job of reversing these stigmas. So I end with the following question: how can we as young women at GSU reduce student bias and negative perception of female professors and instructors who work for GSU? I never really noticed the types of gender bias that students can have towards their teachers. As a senior I’ve done multiple evaluations and while I do these I have to set my emotions aside. Which I feel like a lot of students don’t do. I think students rate teachers more on whether or not they liked them as a person. I feel as if that would have a greater affect on female professors. Some students look at a female professor and automatically think that she has a bad attitude or that she isn’t approachable. They make this judgement call based on what other students have said, not once have they ever gone to office hours to actually get to know their professors one on one. 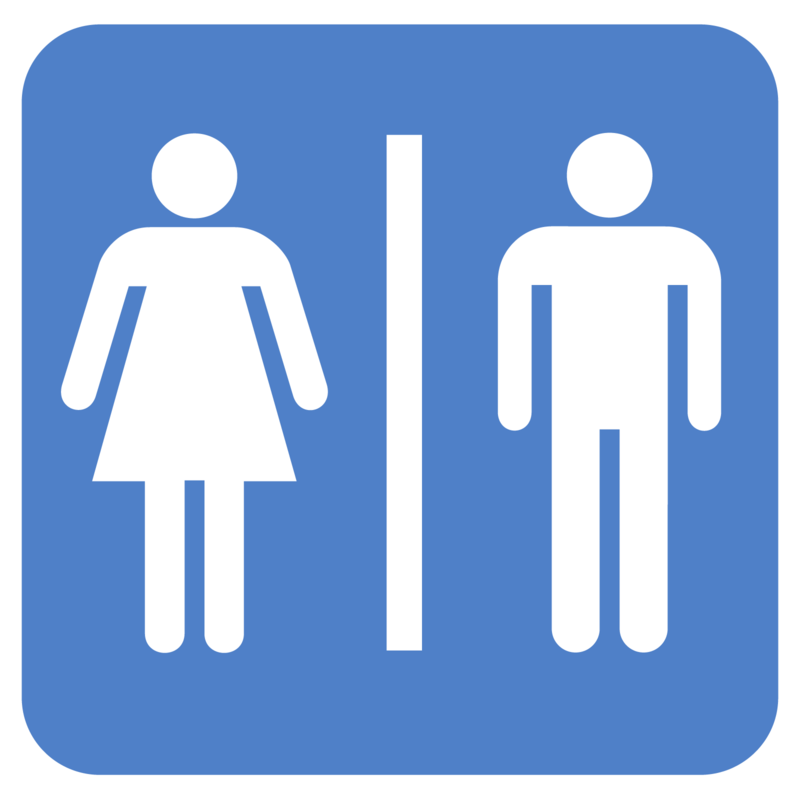 I never noticed gender bias from students, but now that it was brought to my attention I can understand why there is a gender bias. I find it funny that there is gender bias, especially for women in academia, because it is the norm for a woman to be a teacher, nurse and anything that was considered feminine. Therefore, in my opinion, I wouldn’t think women were perceived differently than men when it came to academia. Also, I can understand why there is a gender bias because it’s like when a mother is a mother all the time but once a man does the same thing as a woman he is praised more for doing less. Women will forever be ridiculed if it’s not addressed and then enforced for women to have equal treatment because I don’t agree with not bringing gender bias to awareness because if the issue is not resolved how can change occur.